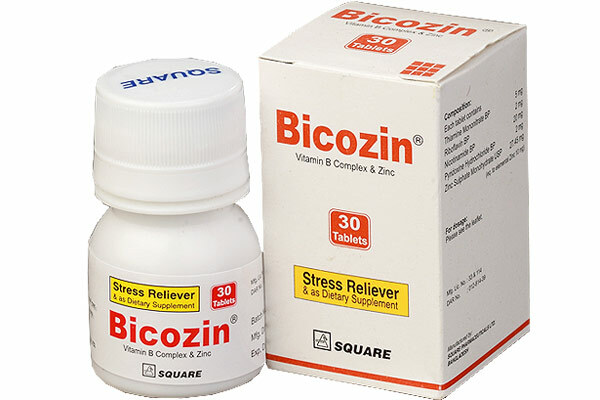 Treatment and prevention of B-vitamins and Zinc deficiencies. 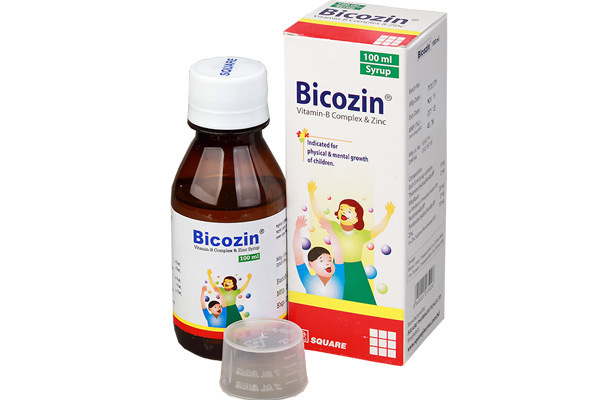 Bicozin Syrup : Adults : 10 ml (2 teaspoonfuls) 2 to 3 times daily, Children : 10 ml (2 teaspoonfuls) 1 to 3 times daily, Infants: 5 ml (1 teaspoonful) 1 to 2 times daily. 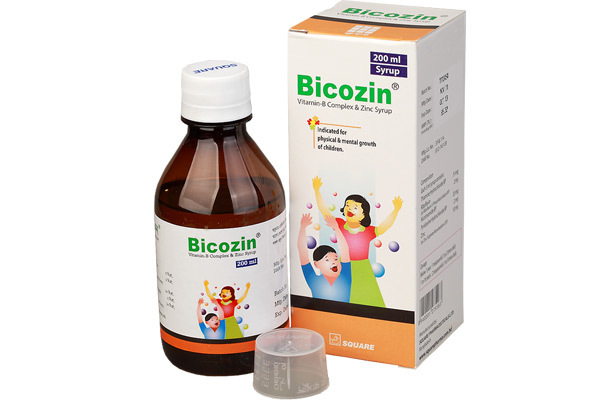 Bicozin Tablet : Adults & Children over 30 kg : 1 to 2 tablets 2 to 3 times daily. Thiamine Hydrochloride 5 mg, Riboflavin 2 mg, Pyridoxine Hydrochloride 2 mg, Nicotinamide 20 mg and elemental Zinc 10 mg/5 ml Syrup. Thiamine Mononitrate 5 mg, Riboflavin 2 mg, Pyridoxine Hydrochloride 2 mg, Nicotinamide 20 mg & elemental Zinc 10 mg/Tablet.